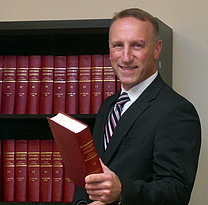 Robert is a Barrister and Solicitor in private practice in the Town of Ajax. Robert graduated with a B.A. from York University in 1985, and went on to receive his LL.B. from the University of Western Ontario in 1989. Called to the Bar in 1991, he is a member of the Law Society of Upper Canada. He began his career as a sole practitioner in Toronto, and relocated his practice to the Ajax Law Chambers in Durham in 2009. Robert amalgamates a diversity of experience into his general practice that converge to skillfully address the many and varied needs of his clients. In addition, since 1995 Robert has and continues to serve as In-House Counsel for the Canadian Chiropractic Protection Association, providing guidance to members of that profession facing a variety of challenges associated with private healthcare practice. Robert is also a member of the Durham Region Lawyers Association.